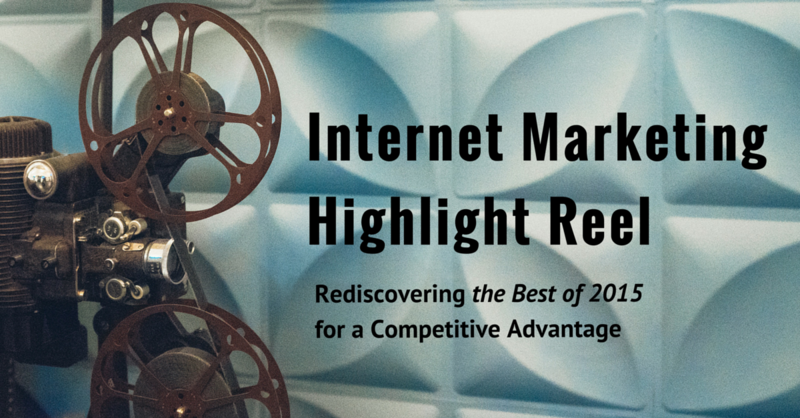 Here’s to rediscovering the best BCI blog posts of 2015 for a competitive advantage. Dear marketing director, business owner, and digital marketing client: It’s been a pleasure working to make your website a well-oiled sales machine and useful resource for your customers this year. We spent time tuning up your website to be in line with established marketing best practices. We also followed search engine optimization announcements and new guidelines along with global marketing trends to make sure your business received every competitive advantage. To share our thoughts on digital marketing’s evolution and productive ways of thinking, we published our findings and recommendations on our blog for all to read. Looking back on our blog posts of 2015, a story is told — a big picture of digital marketing today. Let’s look at the story of the last year to remember where we are and what’s expected of your business (and ours) when serving customers and attracting new ones online today. The tale of mobile began many years ago, but 2015 was the year it became a main character in the world of digital marketing. As our SEO Manager Rob Ramirez first reported on the blog, Google announced the exact date it planned to make mobile-friendliness a ranking signal — sending a clear message that mobile is the primary lens through which digital marketing must be viewed. Long before the announcement, though, we helped prepare you for the major search change (because we saw it coming) and offered technical advice on how to improve the search experience for your customers on the go. Chelsea Adams points to Bruce Clay, Inc.’s navigation along with REI, LA Times and Firestone Tires for examples of navigation best practices for mobile. Preparing for Mobilegeddon also meant updating our popular SEO guides to reflect the latest information about mobile. For example, we revamped our popular “SEO 101: The 29-Point SEO Checklist,” with a new SEO to-do item. Scroll to #26: “Review Mobile Usability Issues” to see how to check if your site is even performing well on mobile devices. It’s a great place to start if you’re new to the mobile journey as it introduces you to the Mobile Usability Report and the Mobile-Friendly Test, a simple way to find out if you have what it takes to satisfy Google’s mobile criteria. When some results get a “Mobile-friendly” label and other results get different notation, is one better than the other? Maryann Robbins explains. As a result of our prep work, clients began taking and passing the mobile-friendly test, until we noticed a pattern. 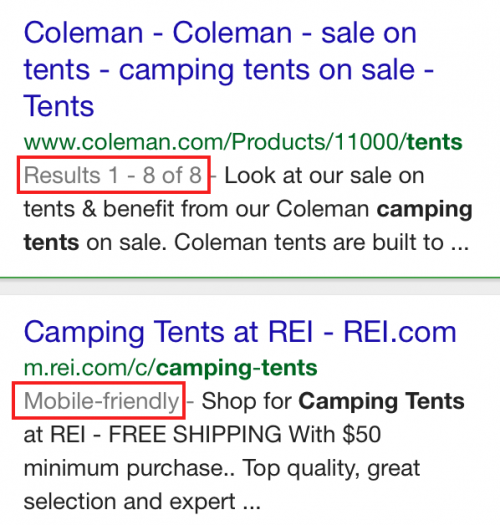 Sometimes the mobile-friendly label didn’t show up in Google search results, even when a site passed Google’s exam. Our Senior SEO Consultant Maryann Robbins researched the problem, compared notes with industry thought leaders, and came up with examples of why certain pages might not have the mobile-friendly annotation. The timely results were published in the helpful post, “Why is My Mobile-Friendly Label Missing in Google Search Results,” a great resource to visit if you’re experiencing the same issues. This was also a very popular digital marketing blog post of 2015. And then the big day came. 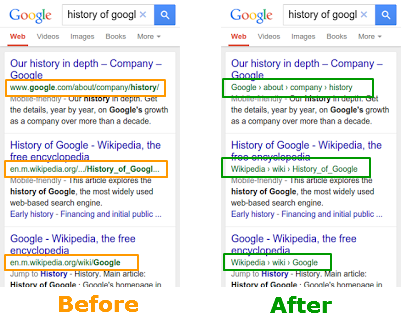 On April 21, 2015, as promised, Google rolled out its mobile-friendly update. The update rewards mobile-friendly sites in mobile SERPs, providing a boost to beat their closest competitors. Our clients came out ahead on the other side because of strategic planning and preparation. Shortly after “Mobilegeddon,” Google told us that they created a way for web pages to be “faster and lighter,” in an effort to speed up the mobile search experience for people with slow connections. What perhaps wasn’t so clear was that Google wanted (and wants) this so bad that it’s willing to do it for you. That’s when our SEO Analyst John Alexander stepped up to write “Google Wants You to Make Your Site Faster or They’ll Do It for You. Will You Like the Result?” This popular article provides a picture of what Google wants to do (hint: it has to do with transcoding) and helps you weigh the pros and cons to answer that question for yourself. Google reps have already said that Google’s primary initiative in 2016 is to make sites faster by encouraging the adoption of AMP (Accelerated Mobile Pages). The push to create a customer-friendly mobile experience continued to change nearly every aspect of SEO this past year, including the way URLs are featured in the mobile search results. In April, Google told us that mobile search results will now appear with the “real-world name of the site instead of the domain name, and the URL structure of the sites in a breadcrumbs-like format.” Immediately we saw potential here, agreeing with Gary Illyes’ point, that this was an opportunity for websites to use Schema.org structured data to customize displayed breadcrumb URLs and site names. Written by our Senior Technical Writer Paula Allen, “Google’s New Mobile Breadcrumb URLs: Making the Most of Your Site Name & URL Structure” details the changes and offers useful tips on how to use these changes to your website’s advantage. In February of 2015, Google introduced call-only campaigns in AdWords, and shortly afterward we published “Tips for Getting the Most out of Call-Only Ads in Google AdWords,” written by former BCI SEM Analyst Jack Van Leeuwen. What makes this article unique is not that it includes easy instructions on how to setup a call-only ad (although that information makes it helpful), but that it features insider tips based on “data and testing” we conducted for our PPC clients. For example, did you know there was a way to get more “granular control of the different bid and keyword strategies” of mobile preferred ads and call-only ads? Yup, there is, and the answer is in the article. While we updated some of our digital marketing guides to include mobile sections, 2015 was also the year we found it useful to create new guides — such as our “Guide to Mobile PPC Opportunities” written by yours truly — that reflect just how valuable the mobile customer is to the pay per click advertiser. This guide is helpful to both new and seasoned advertisers and provides clear instructions on everything from how to locate your mobile audience to how to monitor cross-device conversions. It also shares useful PPC tips on keyword research for mobile and features clear descriptions of all the mobile ads and extensions. 2015 taught us that everything we do as Internet marketers revolves around satisfying the customer. In addition to mobile campaigns, the development of content and social media strategies are also focused on improving the customer experience. Google ended the year on that note, releasing an updated version of its Search Quality Rating Guidelines with its heavier emphasis on usefulness. Paula spells out all you need to know that’s included in the 160-page guide in “2015 Search Quality Rating Guidelines Checklist: Aligning with Google’s Focus on Usefulness.” Content and the websites they appear on have to be helpful. Of course there are challenges to writing useful content. Ever heard of writer’s block? In one of this year’s popular blog posts by Director of Training Mindy Weinstein, “Creating Content for a Boring Industry? No Problem,” we address a very common obstacle for content writers and online marketers – writing for a boring topic. The article offers three powerful tips on how to craft engaging SEO content regardless of what you’re writing about. Kristi Kellogg shows you how the free Single Page Analyzer can help you examine various elements of your content and compare it to SEO best practices. 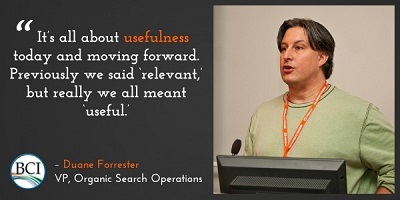 But how do you know if your content is really useful to your target audience and the search engines? 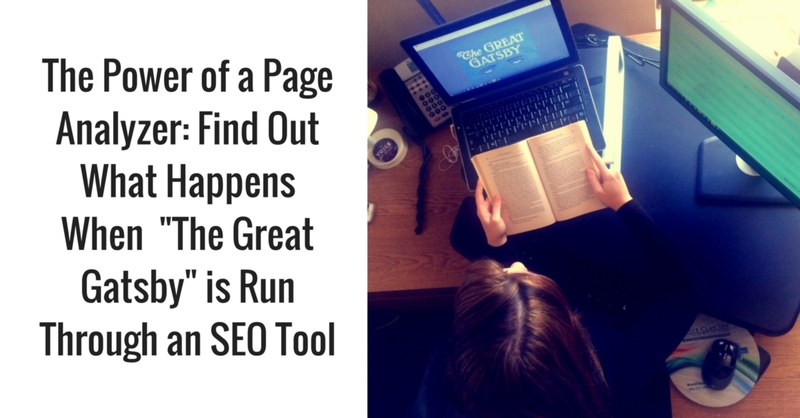 There’s an SEO tool for that. In a unique demonstration of the SEOToolSet’s Single Page Analyzer, Social Media Editor Kristi Kellogg shows you how this handy tool can help you examine various elements of your content and compare it to SEO best practices. “The Power of a Page Analyzer: I Ran ‘The Great Gatsby through an SEO Tool & This Is What Happened” reveals valuable insight such as the novel’s reading level, the most commonly used words on a page (categorized by one-, two-, three- and four-word phrases), how those words relate to one another, the topic of each page, and more. In addition to highlighting the power of the tool, the article is a fun read for literature lovers, especially fans of F. Scott Fitzgerald’s classic novel. As we look back at the most popular blog posts of 2015, we see a clear picture of the customer. Today the customer experience is the core of nearly every marketing strategy and campaign. For us, this means you are the center of everything we do. We hope to be with you throughout 2016, too, as we work even harder to predict industry trends, shifts, and continue to fine-tune your websites to reflect the latest and established marketing best practices. H.G. Wells said, “Adapt or perish, now as ever, is nature’s inexorable imperative.” How true this is for the digital marketing world! We work to do more than adapt, but to take advantage of change to become better than your competition. If I may show you something. The laws that govern Google Search are sometimes really hard to sort them out. That’s why our CMO wanted to systematize them in one article based on simple mathematical formula. This article was written based on his knowledge, experience and imagination, so please mind that it’s unconfirmed by Google and it’s just a piece of theoretical considerations. Content is the most important thing in 2016 and beyond. Companies which will be doing content marketing will get more loyal customers. Thanks a lot for this information. Hlw, Melanie Saxe , Thanks for your nice article.I am New in article writing.I am trying to write useful and SEO Friendly Content for my Blog.This article helps me a lot. I agree with you that the page analyzer is very useful.